Swedish lighting company Profoto is preparing to file a patent infringement lawsuit against Godox, according to Fotosidan. The complaint targets the newly listed Godox V1, which Profoto alleges is in violation of multiple patents it filed for its own A1 light. The Profoto A1 round head flash was launched in September 2017, a year before Godox introduced its cheaper V1 alternative at Photokina 2018. The Profoto A1 costs $995 USD; though pricing information for the Godox V1 hasn't been revealed, the product is expected to be cheaper than Profoto's model. The Godox V1 sports a number of similarities with the A1, including a round head design, Fresnel lens, magnetic modifier mount, and LED modelling lights. Speaking to Fotosidan, Profoto CEO Anders Hedebark said the company spoke with Godox about its V1 light during Photokina 2018, and that it has continued to reach out to Godox in the months since. Profoto has filed seven patents related to its A1, which spent four years in development. Profoto's so complacent and douchey. The A1 doesn't even come with an optical slave and has no sync port because the company's so insistent on being closed system. I used to pine after their gear but even with the bigger jobs and budgets I've been getting, will probably stick with godox for awhile. To Profoto. Your A1 is a speedlight. With a round head. You can't patent a round head. Secondly, once again, it doesn't have optical slave or sync. You made your bed and its sorta gross. I use my iPad to control my R2 Pro Flashpoint controller. Profoto is just too far behind and I can't even comprehend spending $1000 for a sub 100ws strobe. It's almost comical and spare me the double-talk about R&D for a speedlight that doesn't even do what my V860II can. I'd take Godox over Profoto any day of the week. Their Gear is forward and backwards compatible. I've been very satisfied with their Lighting Gear! ''The Profoto A1 costs $995 USD''. I'm Curious to know what those patents are that Profoto has that they are alleging that Godox infringed on... I'm guessing it has to do with the round flash head. Yes true, I don't think Profoto will win just on the round head aspect. Look at regular flashes with a rectangular flash head. That's common place now, and I imagine when the rectangular flash head came out, someone maybe tried to sue but didn't get very far. I suspect the same for this. Is the ROUND HEAD itself such a big thingy??? Yes it looks a bit better but in reality the difference is minimal. WhatI I am far more excited is the LED modelling light which I really miss from all the small flashes. It is not just good the show a bit what you will get but it helps AF tremendously... it is FAR MORE important than the shape of the flashhead!!! Silly flash makers, don't they know a pentagon flash head is the best??? Profoto was not the first company to use a round faced fresnel lens fronted flash head on a small portable flash. I first saw that design back in the ‘80s on a flash that was made either in Germany (Megablitz?) or Japan (Comet?). Even the flash they made Luke Skywalker's lightsaber from was a round head on camera flash.... and it's not like their magnetic flash modifier system was particularly original either. Meh, I'll wait for the $100 Yongnuo version. Because you like throwing money away? I happen to have a Yongnuo speedlight. It cost about 1/4 the price of a similar Nikon flash, and there's nothing wrong with it. I have the VERY FIRST they made (no LCD just LED lights) I bought it back than just from pure curiosity, it was real junk back than but it was very cheap of course especially that time I did not even used that one. But the world has changed quite a lot fortunately and now they make quality products at least as quality as I need it to be. Is a rounded flashhead such a big difference??? I thinkt is just bs. The important factors are... amount of flash light, some kind of LED modeling light and a well thought out user interface and reliability. Those are the important factors. I agree about round light throw not mattering much for rectangular photos, unless you need a lot of light bouncing around evenly everywhere for an ultrawide interior shot, or maybe a circular fisheye shot. Plus, strobe reflectors aren't very wide. What would make sense there are bare bulb strobes with full dome diffusers. It depends on how you use the hotshoe mount flash. Leave it in your hot shoe and it probably doesn’t make a lot of difference. But put it in a flash bracket that pivots depending on the orientation on the camera or use the hotshoe mount flash as an off camera flash, yes it will make a difference. Also it probably does a slightly better job of filling an umbrella type diffuser. @Ellis Vener Well... it might make a difference in the eye of the model if you can see the flash itself, but even than the flash is in some kind of light modifier (small rounded softbox or similar) but otherwise 99% of the times it just does not matter at all. If Godox violated patents they should pay, but I'm not buying Anymore over priced photography stuff ever again, go Godox! That's assuming the patents should have even been issued in the first place. Way too many patents are for things that have prior art that should negate the patent application, but patent examiners get paid to approve patents, not the other way around. People don't seem to understand that the fact they look similar does not mean Godox infringed on the A1, it just means that Godox takes competition seriously. Some don't even realize the amount of proprietary features that Godox introduced in the V1 and how much it borrowed and capitalized on previous Godox features. They act and think that Profoto ESTABLISHED this market, when in fact they're just newbies. Their marketing campaign reflects this attitude too, despite the fact that there is nothing special at all about any of the features or the pics I've seen from so called "influencers"
I believe the Godox has a lower Guide Number but I'm willing to bet that the Godox is better in every other way. Seriously. *Maybe* the Profoto is constructed better, or have such an outward appearance anyway. But i bet on features, interface, and compatibility with other hardware that the Godox is at least as good as the Profoto. When comparing manufacturer claimed guide numbers be skeptical and squint at them through a couple large grains of salt. Grain 1: What is the claimed “focal length” setting the guide number is claimed for? Grain 2: is the guide number theoretical or established through measurements? Grain 3: If measured, how were they measured? If you do not know the circumstances and instruments used to make the measurements, How can you trust them? We do know a couple things: capacitor technology has not radically changed in many years. If the body of the flashes are more or less the same size the capacitor sizes are likely the same size. This means that any differences in output efficiency between two similar capacity (watt-seconds is the relevant measure of capacity) are down to the electrical resistance in the system, the reflector, and the flashtube. I hear you. But i ran the numbers. Check Profoto's and Godox's figures. Provided they are accurate numbers, i believe the Godox is weaker by about 20%. I could be wrong, but that's what i recall coming up with. As i doubt I'd need full dumps often from the V1 or A1, that kind of power difference is irrelevant to me, especially with the V1 only costing 1/4 of the A1. Then if I were Godox, i would continue making round flashheads. Heck if this case makes the slightest sense, next time they make a rectangular flashhead, Canon, Nikon, Sony, Minolta, Pentax, Olympus, would be in a long queue to sue, even Vivitar would walk to the courtroom from the graves. Well, it depends on the patents at hand, right? No patents, no lawsuit. Profoto feeling the Godox burn! This is great advertising for Godox! If Godox made garbage, Profoto wouldn't care. It's not right how Chinese companies steal and copy IP from European, Japanese and American companies. As consumers we should boycott this kind of behaviour and avoid a destructive race to the bottom. It is right that everyone respects the patents, but what Profoto may have patented for the A1 that did not already exist: round head? Quantum! Lithium battery? Godox! Led pilot light? Godox AD200! Magnetic support? Lens filters! Have they patented the combination of these elements? It's crazy! A chef patents a recipe and those who use that combination of ingredients owe royalties! Rather, talking about market policies: I am a professional photographer and I use Fujifilm. Profoto introduced the Air-TTL for Fuji to the market after 4 years that already existed for Canon and Nikon, and was the last brand for which it introduced it! For the A1, so the TTL is much more important than for studio flashes, two years after its release, it still exists only for Canon and Nikon. Considering that first it will come out for Sony, then for Lumix, then for Olympus, then for who knows who else, in about 10 years I'll have the much-desired A1 for Fujifilm! But please ..... Godox all your life! If the Europeans brands don’t rip off the consumers, the Chinese won’t survive. Nope, I see Godox as the Robin Hood, they steal from the greedy rich and give to the poor (us). Which the copied, down to the flash tube and reflector attachment method and mount size, from the Norman 200B which goes back to the 1970s. I hope Nikon adds rechargeable lithium ion batteries to their top flashes. That's the only reason I don't own any recent Nikon flashes. I love my Godox V860II flash. It recycles so much faster and the battery lasts several times longer. I shoot Nikon and have never owned a Nikon flash. I do however have 4 Godox flashes.....for the price of about one Nikon. They have served me just fine and at this point, I cannot see why i would want to go with a flash from Nikon. I agree with another poster that if Godox made garbage, Profoto would not be complaining. I'm a Nikon shooter and have owned a bunch of Nikon speedlights. I really can't stand the Nikon release switch that needs to be lifted/pressed before the head can be tilted or rotated. Time-consuming and frustrating when trying to work quickly or switching from vertical to horizontal and vice versa. And the power button that needs to be held down to power cycle. Slow. Godox doesn't have the head lock, and has a regular power switch. These 2 little things make a big positive difference. Then there's the more intuitive Godox interface, which is standardized for that model flash across camera brands. So, when changing cameras back and forth from Nikon to Sony to Nikon (in my case), flash controls are identical. Very sweet. There is only one aspect where I wish I had a lock for the tilt head. And that is when I am using my XL Flashbender. But I worked around that problem by rotating the head 180 degrees and adjusting the angle by using the flash mount on my light stand. When I do this, the head will not flop down when the flash is tilted down. Haha, you made me look up the Flashbender XL. Never heard of it before. Neat product! How do you like it? I'm thinking it might be a good way to evenly light a home's interior for real estate photography. What do you think? The head lock is one of the things I like about Nikon flashes. My Godox flash's head keeps pointing to the down position, so I have to keep checking to see if it's pointing straight. It's very annoying. The head movement is also very stiff and not smooth. The detents are vague and weak. That's one area Godox can improve upon. I like it. It’s a bit harsher than a bigger diffuser so I use it on men more than women. I have never tried lighting an interior but I bet it would work. It's about 7 patents for A1. Dont tell me it's just about the round head. In fact, nobody made Profoto A1's round head before. AD360? lol. That's completely different. It's about specific patents that we dont know exactly and yet people are whining about this so much. Ironically, you and Profoto are the ones whining since it's not patented yet, whatever that mystery life saving innovation is. They implied it's the round head, fresnel lens, magnetic mount, built-in battery and modeling light, all of which were way before the A1, in fact some are Godox-specific features. And yes, Quantum had round heads since forever. Other than the round head, the two products photographed above don't even look similar, no more similar than any random two speedlights with rectangular heads. The Quantum, the Lumadyne, the Norman 200/400, and Godox AD 360 arrangement of protruding flashtube, and open faced dish type reflector is very different in formband function from the enclosed arrangement of flashtube, reflector, and lens used by the Profoto A1’s, This Godox flash, and the round head for the Godox AD200. This latter design looks a whole lot like the German Minicam flashes of the 1980s. Sorry ProFoto... It's too late. Godox has already flooded the market with that V1 light. And yes... I'm quite sure that China doesn't recognize Swedish patents and I'm thinkin 'the statue of limitations' time frame has already passed. You're a day late and a dollar short. Why is it too late? If the courts side with Profoto, Godox is fined. Where'd you see the 18650 battery? I'm seeing a rectangular apparently-proprietary battery. Down there is the battery which is a "a pair of 18650 batteries (the same type used in many gimbals) inside a proprietary Godox shell"
Yeah that is a danger BUT Godox put so much energy into it and as I see it will be available from and of march anyway. The price will be a question. Adorama had the price showing in the "people also viewed" area below the product (on phone) as $249. Which is a quite a bit more than I would give for it. The new YN flash with two 18650 battery is $69. OK there is no LED light and only manual and not rounded but that is an eye-candy any way. The power is the same. The 18650 Li-Ion, that's the same one they use in the Tesla, only much more. Well... the Profoto A1 is $995.00!!! So, photographers in that market would surely give consideration to a very similar product... that "only" costs 1/4 as much. I wish that it was set up to use loose 18650 cells, that you could insert just like you do with AA batteries, I don't know why that wouldn't work. Other than that, it'd be fine. Just like their 4x AA batteries flashes. Especially Godox. You know Profoto will never do anything consumer-friendly, but I'd expect that Godox would do something like making a 2x 18650 batteries flash. And that'd get eaten up by photographers! Another nail in Profoto's coffin. A patent on a round flash head? Wow, really? Funny. Profoto should really tread lightly with this, the last thing they need is more angry potential customers, on top of their "made of 24k gold" prices. I'm sure China doesn't recognize Swedish patents either. While chinese companies do tend to ignore patents, this can still hurt them. If Profoto wins they can prevent the product from being sold in most markets. Why round head is such a difference anyway??? @rockjano: Like it or not, but this falls under smuggling forged goods, much like importing counterfeit brand clothing. This means your package could be held and destroyed by customs. Not in my vountry and not in most of the countries. Anyway I don't think the Profoto will win this war. Patents, in order to be valid, need to have a certain degree of creativity. There's nothing creative in assembling a bunch of already available features in a single product. I am curious to see if their patent stands the test of a court. Patents can be made to improve an existing product. If Profoto took pre-existing products and assembled them in a new way to make the over all product better then yes they may be able to patent this. Just like microchips, they have been around for decades but various companies make small improvements to them and file a patent on that small change. Round head on flash - been around forever. Fresnel lens - been around forever. LED modeling light - not only Profoto sports these. Magnetic mount - not only a Profoto feature. So what exactly are they sueing for? I get it that it's annoying how fast that the competition catch up when you combine technologies already present in the market. However, unless you truly innovate, that will be the case. Now stop whining and start competing! Did you ever head a company developing products, paying for patents which aren't related to a simple look-a-like feature? Did you pay for research, marketing etc. before finding out that some of your patents were violated? Or do you have insight into what is at stake here? Otherwise, this sounds like a pretty stupid comment. In Europe we have lots of problems with Chinese companies violating patents and copying technologies at will, not nice. I am a product manager located in Europe - so the answer is yes and it's tough. We like to view the Chinese as the problem, whereas in reality our lost will to compete is the real problem. Competition is "not nice". Also - no patents have been violated here - since there are none. There are pending patents based on combining existing technologies to create a new feature - such patents are a silly way of trying to avoid competition and are unlikely to stand up in court. If you cut down a bit on the ridiculous, hard push, arm-twisting, expensive marketing, and pass the savings onto the consumers, then you won't be in this situation. Once your prices become reasonable enough to compete, then many more people will prefer to buy your products (assuming no degradation in quality), even if slightly higher than the Chinese products.
" ... in violation of multiple patents it filed for its own A1 ..."
This means they cannot sue unless these patents are granted. That should explain the " ... preparing to sue ..." statement. Personally, I'll buy a couple of the Godox Speedlight because I have Ad200s and round heads and I already have the attachments/modifyers for those round heads. This is the thing that Godox have done, and it means I can expand my system rapidly. The Round head for the Ad200 with the magnetic modifyers was just the natural progression for a modular lighting system, just like the V1 is a natural progression for the V860s if you, like me, had already bought into the AD200s with round heads. So proFoto came first, but the V1 is not the ProFoto A1 'killer' as DPR alluded to earlier this month. It's actually the "Godox portable lighting system extender". Nobody (probably, fact not checked) is buying the V1 as an alternative to the A1. It's just an upgrade to the Godox lights they already have. I see these lights as two different categories anyway. One is a speedlight, and one is a portable strobe. They're both speedlights. AFAIK, the Profoto is no more powerful. Sure. My point is that the ProFoto is sold as a portable studio option, but yes, it is in fact a speedlight. The problem here is that Profoto will only call it a speedlight when it suits them. I don't actually see the lights as two different categories, but I suspect that Profoto and might. This is what I mean when I say that Godox would do well to lose the hotshoe. If nothing elsechanged, the difference would be enough to separate the two and actually put the Godox system into a different category. It sounds backwards, but the light would be more versatile without the hotshoe. So many lawyers here. My head is spinning. Do you mean cowboy lawyers? Price is price, but you cannot just go and copy someone else's product. It's not just round head or lithium battery, Godox copied everything: the form and size, pilot LED lights, magnetic accessories mount, accessories themselves. Their AD360 had a lot in common, but was a fair different product all right. But this V1 is just a plain copy. Next, Panasonic will sue Sony for "copying" Touchpad AF and IBIS. Oops, Olympus will sue them both for IBIS. And, Panasonic will countersue Olympus over Dual IS. And, Ford will sue every other automaker for putting four wheels on a motor-driven carriage. Then, after all these companies are forced to remove features they didn't invent, we'll all go back to shooting with all-manual film cameras and riding bicycles. patents are only granted for a certain length of time. After that time expires the product is open to being copied. Maybe Falcon Eyes are preparing to sue Profoto for the shameless design copy? If the new Godox round head for the V1 is as good as the one they make for the AD200 then Profoto should be worried. The AD200 round head produces a much more even light with better falloff than the Profoto A1 round head. Have you personally compared the 2 or have you seen a review comparing the 2? I would be curious to see it. The prototype I have held on Photokina had a flash tube which is much shorter than the Profoto. In combination with the fresnel/disperser design Godox will very lilely deliver superior light spread over Profoto. Check the H200R round head with its helicoil flash tube compared to the Profoto with a linear flash tube. From a lighting perspective, Profoto can't compete. Godox understands lighting much better. I've been relying on third party solutions for flashes and it made me wonder why should i pay more for a branded one that does the same thing, as long the product performs up to my expectations - quality proven. This is pretty much the same thing as Apple suing Samsung for rounded corners on a smartphone many years ago. Actually, Apple had a better case for trade dress infringement, because the Samsung looked almost EXACTLY like the iPhone. Nobody is going to mistake the Godox for the Profoto. I believe that Rob Hall's video about the AK-R1 (round head modifier kit) and the delay for Patent issues fore shadowed the situation with Profoto on the Godox V1. However, no one can sue based on pending patents - they can only threaten you that if they get approved, you will be sued in the future for damages done from the filing date of the patent. Adorama already removed their FlashPoint model of the Godox V1 from their site. In Canada, after tax, one A1 is about $1400. If you are a wedding photographer using two camera bodies, that’s $2800. For two 76 w/s speedlights. $2800 will get you about 13 V860’s. The repair bill on a B1 is almost the same price as a new Godox AD-600BM. Lighting has become a commodity, not an investment. Profoto seems to use the top 1% of professionals in their marketing campaigns. People who charge atypical prices and that can afford a full compliment of Profoto strobes and speedlights. The majority of the market is catered to by Godox. 95% of what Profoto can do at 20% of the Profoto price. As an event and sometimes wedding photographer, I need 6 speedlights and 2 strobes as a minimum between main lights, outdoor and back up. That's why I sold my B1 because the B1 doesn't talk with other speedlights so they kinda force you to invest in the A1 which would make it a total that exceeds 10k. Absurd. Just wonder that these "round head design, Fresnel lens, magnetic modifier mount, and LED modelling lights" really requires FOUR years of unique thinking and research? Are you really trying hard NOT to understand? The patents are not related to the development time. At all. So many Dunning-Krugers here think this is a Chinese only thing. Korea was the very best at reverse engineering until just a few years ago. All countries do this until they are big enough to R&D themselves, exactly like Korea did. This has nothing to do with the evils of Socialism or disrespectful China. Please slap yourselves hard in the hopes it will jar your brain back into place. The Japanese are doing this too after losing the war, they're copying US and Europe technology and with their relentless spirits achieving top spot shared with US & Europe in technological advancement in just three decades (Getting the economy bubble in '80s). On the 90's Korean are copying Japanese strategy and get the fruits of their labor in 2000's with the advancements of Samsung, LG, Hyundai etc. Now China's are doing the same, especially after many US company moved their production to China, enabling them to copy the technology in even half the time and with government full support in every area they're now aiming the top spot too. The US did this for years. Throughout the 19th and the beginning of the 20th century. They made it a government policy. You need to put the statements about Japan in the past tense. Yes, just a non-native English thing. Otherwise knows what he is talking about though. I'm sorry English is not my first or second language so please forgive me if i'm making any mistakes. There's nothing there that needs forgiving. Really dumb thing to say. Nice to meet you Dunning-Kruger, my name is Steve. All I can say is good luck! Remember the Quantam Q-Flash? Many flashes had round heads. Fresnels have been used forever. And Lume Cubes use magnets to hold filters and light modifiers. But all legalities aside... if you look at this, and think it's a coincidence that Godox comes up with pretty much an identical product a little after Profoto released theirs (copying not just the round flash head, but pretty much all of the A1's distinctive properties)... you can't be serious. Good for Profoto to attempt it, I wish them well. Some companies/countries are expert enough at spying other companies' labs, so they can copy products before they are released. I mean they aren't actually that similar. The entire user interface, controls, firmware, protocol, battery compartment and battery, body, etc. are completely different and designed by Godox. It's essentially an updated and improved V860ii that has a round head. Round heads were not invented by Profoto, nor were magnetic modifiers. If the round head similarity is a problem, then what about the fact that nearly every flash on the market has a rectangular head? Are they going to start suing each other because all speedlights look more or less the same and use similar flash tubes? I don't think Profoto has a chance of winning this lawsuit. However, even if they do, Godox has already won the lighting market, and they're going to have to cope with how the market has changed and most people aren't willing to spend $2400 on a strobe or $1000 on a hotshoe flash anymore. Not to mention people that are interested in this light are mostly already godox users, who would not buy the A1 anyways. @Thestructured: Bingo. Furthemore, I think that eventually, Profoto will go bankrupt since their growth is not sustainable (they expect to grow their user base, but they have hardly any chance, since there are so many competitors in the bottom end of the market, most notably Godox). at worse it may not be able to be sold in other countries besides china, but that wont stop online ordering to countries. you cant sue anyone in china and win. even automakers with their multimillion dollar lawyers lost. they take care of their own there. Sure, rectangular light from rectangular lights is not so great: you can see the corners' shape reflected in the iris of the model. In other than portrait photos, one can see the light rays being compressed in the corners of the area illuminated by the rectangular flash. "Sure, rectangular light from rectangular lights is not so great"
Unless you're trying to fill a rectangular frame. Let me know when someone makes a camera with a round format. "In other than portrait photos, one can see the light rays being compressed in the corners of the area illuminated by the rectangular flash." There's no rectangular light, as both of us know. (Not being a native English speaker) I tried a joke or two regarding the "invention" of a circular flash by Profoto. And I enjoyed browsing your site. No joking this time. Not sure what are the infringement they talked about. However, the round shape probably not patentable, and Fresnel lens for illumination purpose is almost as old as photography itself. Two extra LED for modeling is nice design, but I am not sure if replacing regular halogen or HID light source with LED is a great or original invention. They can't sue if they've only filed patents. They need to wait until they're granted. The alleged infringement still counts - but they need to wait. By that time, the V1 will be on the market. "also warning that manufacturers and other companies may face lawsuits if they market the Godox V1." This is the real aim of these comments. They can't win in court, because they can't even file a lawsuit yet. So lets scare Adorama and random Amazon sellers into not carrying it. Cheap move, profoto. Sounds like another win and moneymaker….for the lawyers. I wonder who did the now-used-by-everyone on-body Speedlight design of a body topped by a movable head and rectangular light opening first. Should they be able to sue everyone else if they did a design patent? P.S. QFlash... round head and all... when was that? QFlash, not to mention Godox also made a round/cone head flash (ad180 and ad360) similar to that years before the A1 came out. I guess fresnel and zooming makes all the difference though, as far as patents go. I think it needs something more, which of course they may have, or not. Fresnels and zoom are everywhere in flashes (you can patent stuff that's already used elsewhere for a more specific use though). Don't forget Sunpak had the 622 Super with a removable round head! They also had the 120j flash too! And so, the courting of the future owner begins. And you think that is it? Also a lot of strobes have round heads already, hard to find a serious one that doesn't.. They claim to have 7 patents pending related to the construction and 7 design patents. So I guess it's a bit more than the round flash head. I get kinda annoyed about nonsense patents but (having actually done one from scratch, before the firm finally employed people to help) feel if people have put in the effort into developing tech then they are entitled to some licensing money (but not stopping others making stuff). they are doing this, and they are going to get their clock cleaned anyways. They will never be able to compete with China. Profoto have been around since the late 1960's. Innovation and quality will probably survive another 50 years, at least. I logged in just to reply to you Snoddas. Nokia was the leading representation of mobile phones for years. 'survive another 50 years'? Laughable honestly. In today's world we can't take anything for granted. Especially when it comes to electronic products. Mark Chan: And what would that prove? That you can't spell Ericsson correctly? Ericsson is doing just fine in 5G business these days. Profoto is a SMALL company in comparison to those you mention, and a very lucrative one, the profit is increasing every year. The B1 was a huge success. Their business is light shaping tools for professional photographers btw, not electronics. Oops my mistake on the spelling. It means your claim for another '50 years' can't be backed. As much as I'd like a Profoto, its too bloody expensive. the writing is on the wall for this market sector. 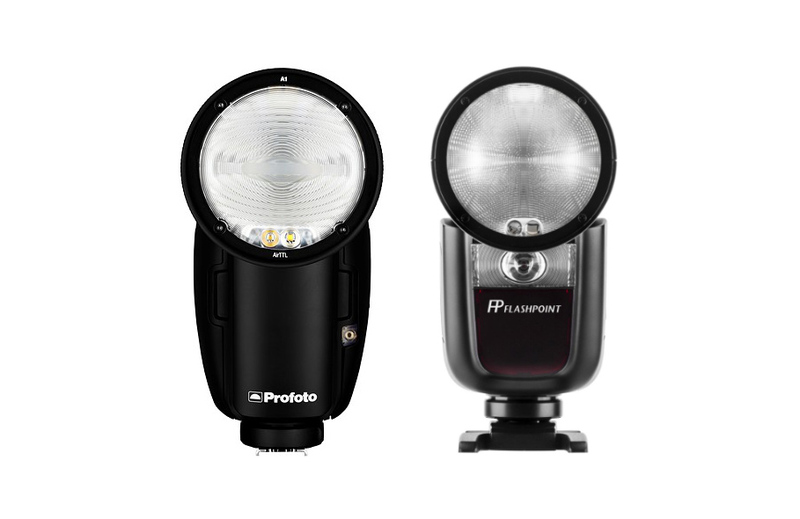 Profoto's products do not provide the level of innovation at the price it is setting. Plain simple. Mark Chan: Apparently Profoto customers don't agree with you. Profoto's increase in sales the last years is nothing but impressive. I suggest you look at their balance sheet instead of gazing into your crystal balls. My statement is at least backed by financial and market data. What are your sources? The Nostradamus IRC channel? Mmmm, you are the one mentioning 50 years, not me remember?